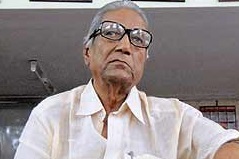 THE Polit Bureau of the Communist Party of India (Marxist) expresses its deep grief at the death of Comrade K L Bajaj, member of the Central Committee of the party and a veteran trade union leader of Maharashtra. Aged 78, Bajaj died after a short illness in Mumbai today. Comrade Bajaj joined public life through the Revolutionary Communist Party of India. He joined the CPI(M) in 1964. Bajaj had participated in the movement for the liberation of Goa from Portuguese occupation and was arrested. A trade unionist, Comrade Bajaj participated in the founding conference of the Centre of Indian Trade Unions in 1970. He was elected secretary of the Maharashtra state committee of the CITU in 1978. Currently he was one of its all-India vice presidents. He was elected to the Central Committee of the Party at its 19th congress in 2008. K L Bajaj was imprisoned several times during his five decades old political life. In his death, the party has lost an outstanding leader of the working class movement in Maharashtra. The Polit Bureau pays respectful homage to his memory. It conveys its heartfelt condolences to his wife Prabha, his two sons and a daughter. (New Delhi, April 18) CITU CONDOLES COM BAJAJ’S DEMISE On the same day, the secretariat of the Centre of Indian Trade Unions issued the following statement condoling the sad demise of its leader. THE CITU secretariat expresses heartfelt grief at the sudden passing away of Comrade K L Bajaj, vice president, CITU, after brief illness in a hospital at Mumbai, on April 18, 2014. He was 79. Comrade K L Bajaj joined the trade union movement in his early youth in the mid-fifties and remained fully active in organising the working class in Maharashtra during span of last six and a half decades till the last day of his life. He took an active part in Goa liberation movement and was arrested and severely tortured in custody. He had to be hospitalised for more than a month after his release. He also actively participated in the Sangyukta Maharashtra movement. As a trade union and political activists, he faced police torture and imprisonment several times. In his early youth, he joined the RCPI as a political activist in the fifties and started working on the trade union front. He later joined the CPI(M) in 1964. He was subsequently elected to the Maharashtra state secretariat of the party and also to the Central Committee of the CPI(M). Comrade Bajaj played a frontline role in organising the CITU in the state of Maharashtra. He led the trade union movement in Maharashtra in various capacities and also as general secretary and president of the Maharashtra state CITU. He attended the foundation conference of the CITU held in May 1970 at Kolkata and got elected to the General Council of the CITU at its third conference in 1975. He was elected to the national secretariat of the CITU at its seventh conference in 1991 and continued in that position, as vice president of the CITU, till his death. Despite his age and ailments, Comrade Bajaj had all along been actively engaged in organisational and movement’s work till he was hospitalised for the last time earlier this month. He was highly respected and popular among all the trade unions and workers of all affiliations in Maharashtra and he played an important role in uniting the trade union movement in the state on common issues of the working people. The death of Comrade Bajaj is no doubt a big loss to the working class movement. The CITU secretariat, while offering homage in memory of the departed leader, conveys its condolences to the comrades and his bereaved family members.